Hinshaw, Ira M., head-of-household, age 24, born in North Carolina; parents born in North Carolina; single; occupation: farmer, lumber farm; owned farm (free). Hinshaw, Ezra, head-of-household, age 35, born in North Carolina; parents born in North Carolina; single; occupation: "cedar maker", woods. Hinshaw, Ira, brother, age 33, born in North Carolina; parents born in North Carolina; single; occupation: "cedar maker", woods. He married Lenora Boone, Mar 17 1921, Randolph County, North Carolina.1,9 Lenora, daughter of John Willard + Bezzie Boone8,10,11,12,13, was born Dec - 18978,10,11,12,13 [about 189914, about 19001], North Carolina8,10,11,12,13. Note that Ira's brother Ezra married Lenora's sister, Priscilla Boone. 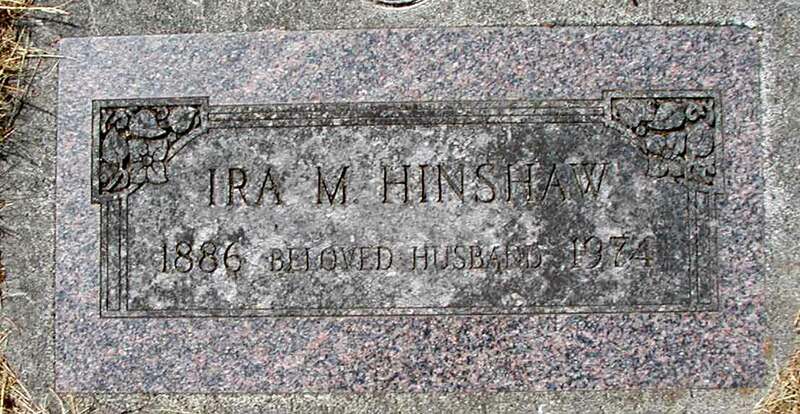 Hinshaw, Ira, head-of-household, age 44, born in North Carolina; parents born in North Carolina; first married at age 35; owned home ($1500 value); no radio in home; occupation: laborer [unclear]; not a war veteran. 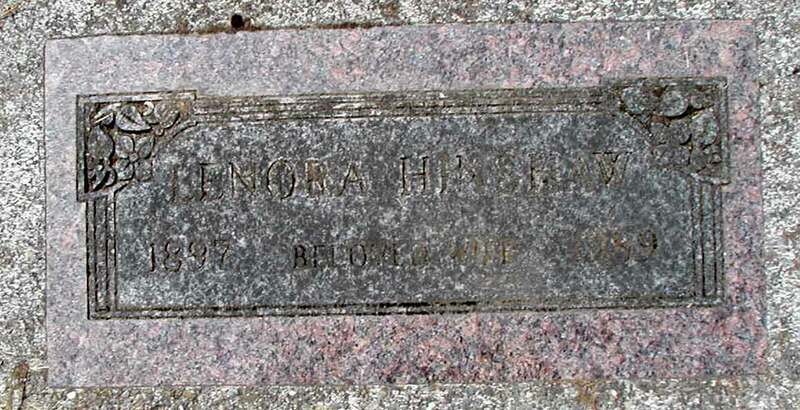 Hinshaw, Lenora, wife, age 30 [unclear], born in North Carolina; parents born in North Carolina; first married at age 21; occupation: homemaker [unclear]. Hinshaw, Fred [unclear], son, age 7, born in Washington; parents born in Washington; attended school. 1930 census, Ione, Pend Oreille County, Washington; roll T626-2509, ED 27, page 3B, line #55, dwelling #66, family #66. 1910 census, Ione Precinct, Stevens County, Washington; roll T624-1672, ED 212, page 17B, line #51, dwelling #95, family #109. 1920 census, West Ione Township, Pend Oreille County, Washington; roll T625-1934, ED 108, page 7B, line #94, dwelling #40, family #43. 1900 census, Richland Township, Randolph County, North Carolina; roll T623-1213, ED 96, page 6A, line #36, dwelling #96, family #97. 1910 census, Richland Township, Randolph County, North Carolina; roll T624-1128, ED 97, page 6A, line #44, dwelling #97, family #97. RootsWeb WorldConnect data by Morgan Jackson (). 1920 census, 1st Ward, High Point, Guilford County, North Carolina; roll T625-1302, ED 155, page 8B, line #96, dwelling #127, family #148.